What is the importance of revision? What is revision and what is the importance of revision? According to the Collins English dictionary revision means ‘to read things again’. This implies that you have read and understood your study material at least once prior to starting revision. So, if you haven’t you need to get a move on. The importance of revision is twofold. Firstly, it helps you to remember facts, figures, topics and methodologies that you have covered. Secondly, if done correctly it will help increase your confidence and reduce anxiety – you will be well prepared for your examination. This page will provide you with revision techniques and strategies that are proven to work. You will need to try them, as what works for one person may not work for someone else – this is perfectly normal. Each subject will provide revision materials to you and they will upload some of those materials here under the subject tab. Any questions, please speak with your tutor, Head of Year or any member of staff here at PCSA. So how should I revise? Begin by organising your work space and your study material. If possible, separate the area you intend to use for study from that in which you relax. Try to keep your ‘entertainment gadgets’ out of sight when you are studying. Make a revision plan, include all the subjects and areas covered by your upcoming exams. Make sure that your plan is realistic. Give yourself enough time to revise properly as well as breaks for relaxation. The revision plan needs to be flexible enough to allow for some things taking longer than expected. Revise subjects and topics that make you feel anxious earlier on in the revision plan. This will help reduce anxiety because you will feel that you have more time to deal with them. You don’t need to tackle the difficult areas first. Revising subjects you know well will boost your confidence – but don’t put off the difficult areas until the last minute. Active revision is far for effective than passive. So, make notes as you revise. Make further summaries of the notes. They act as very useful prompts for your memory. Review these notes and summaries regularly. Read them out loud and test yourself on each area you cover. Make use of past exam papers. Get used to the type and style of questions asked. Practice answering the questions previously asked. Revision is hard work. Make sure that you get enough sleep and take time off to be with your friends and exercise a little. Rest, relaxation and making sure you stay fit and well are very important elements of the revision programme. Don’t revise into the early hours of the morning. You might feel that you are dedicated and working hard but ‘overdoing’ it is counterproductive. You will perform much better after a good night’s sleep. Anxiety about your exams is perfectly normal. Everybody suffers from it to some extent. Anxiety about examinations stems from a fear of the unknown. What questions will be asked? Will I be able to answer them? Have I done enough work to pass? Will I get a good enough grade? I think I’m going to fail! Put all these thoughts behind you, because that is all they are – just thoughts – concentrate on the here and now. Work out your revision plan. Start your revision. Work to your timetable methodically. You will begin to realise how much you already know. How you can answer previous exam questions and answer them well. How areas that you perhaps found more difficult are falling into place because you are giving yourself time to understand and learn. As you move through your revision plan your anxiety will lessen because you are in charge. You are controlling the situation rather than the situation controlling you. Your confidence will grow and believe it or not, if you are diligent and follow your plan you might even look forward to the tests ahead! 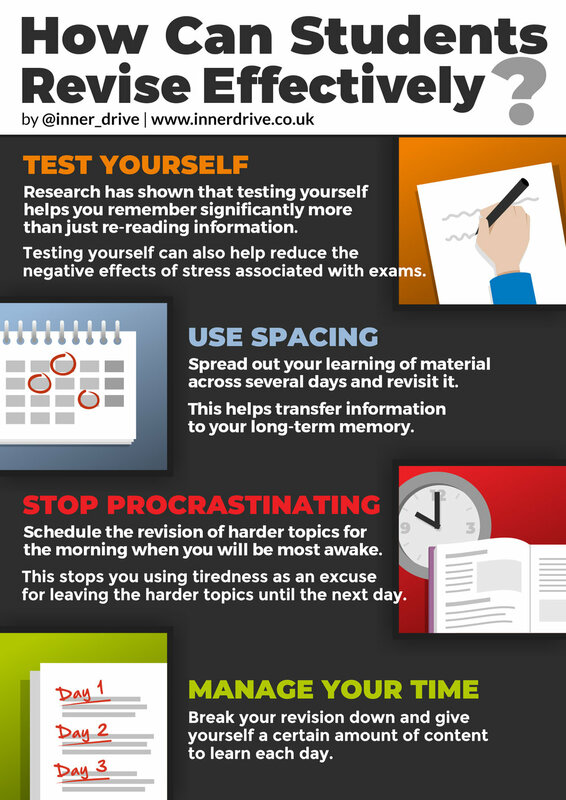 This shows the importance of revision – it helps reduce exam anxiety. Use this good advice; use the techniques and strategies provided by your teachers. Work consistently well and you will succeed – all of us at PCSA believe in you. Click here to have a watch of our recent PSCAchieve vlogs and screencasts on our YouTube channel! Advice from an ex-student on how they achieved their target grades! We know how daunting it can be making that transition with the weight of GCSE exams looming this year, we wanted to share a video to help you lock into the right mindset to succeed. There is no right or wrong way to do your revision - we all process information differently, whether it be through images and drawings, listening to podcasts or writing the information down. 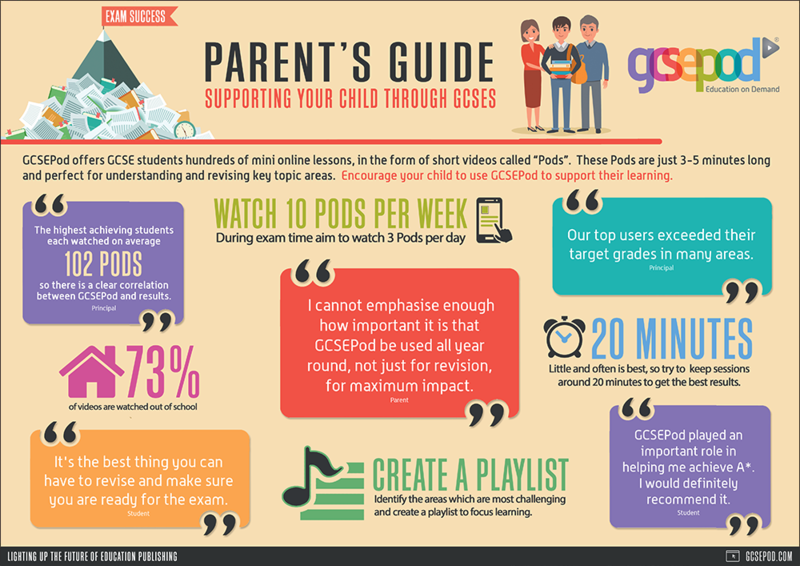 Click the links below for useful hints and tips to help with your revision. TIP: Don’t forget to take a regular break, you need to rest to ensure you are processing the information you are learning! Have a look at the revision tips to the left to see what changes you can be doing to get the most out of your revision.